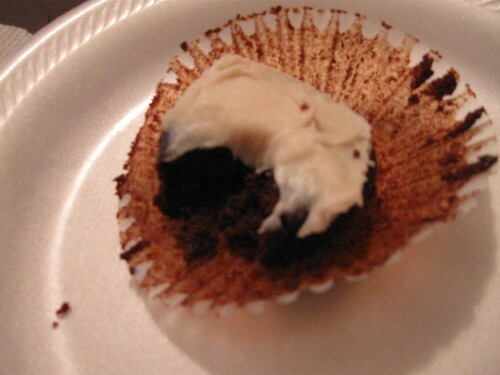 A Life of Sugar and Spice: Cupcakes that don't hurt, who woulda thunk? I was SO excited!!!! Babycakes!!!! She had no idea that I'd been eyeing this stuff for a while now. She just was looking online for cupcakes that were dairy free since the local joints only seem to sell gluten-free, but dairy filled, cupcakes. Needless to say, I dove right in. I tried the chocolate first of course, as you all know, chocolate is my weakness! It was very dense, not light and fluffy, but it had good flavor. The frosting was delicious. 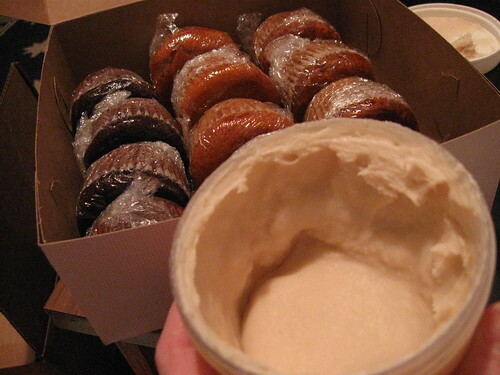 I had been looking for a CF buttercream recipe but hadn't tried any yet. I'm so glad I didn't bake the other night! I tried the vanilla next, definitely not your traditional vanilla cupcake, it kinda reminded me of a Dunkin Donuts plain donut. I froze half the dozen and will eat the other half quickly I'm sure. 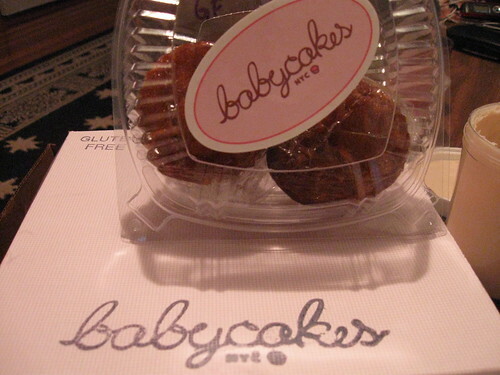 If you're not familiar with Babycakes, they are a vegan bakery in New York. 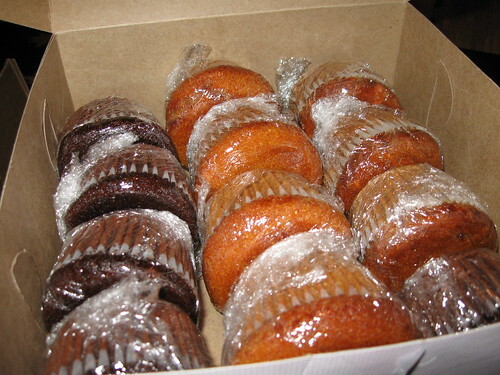 They sell many gluten-free selections as well as baked goods that are made with spelt (a gluten grain). Check out their website for more info! Today is my actual birthday (29!) and my very first birthday wish was sent at 8:15 this morning from none other than... the boy. Totally awesome. Ooh! Cupcakes AND birthday wishes from a boy?? Girl, you couldn't ask for a better start to a birthday! I hope it's great! i can't wait to hear about your lactose and fructose test results. Ooooh my goodness. I so miss babycakes. So very very much. This post made me oh so hungry. I love babycakes, but if you can't get your hands on babycakes, try Starbucks new Gluten Free Orange Valencia Cake...I am a big fan of these easy to find and moderately priced gfcfsf treat. btw - how was the test? did you read almost all of breaking dawn? when are you getting results?